Larger Project 2-6, Kitchen Island » Roger Perron Inc. The kitchen island is a feature of this photo. 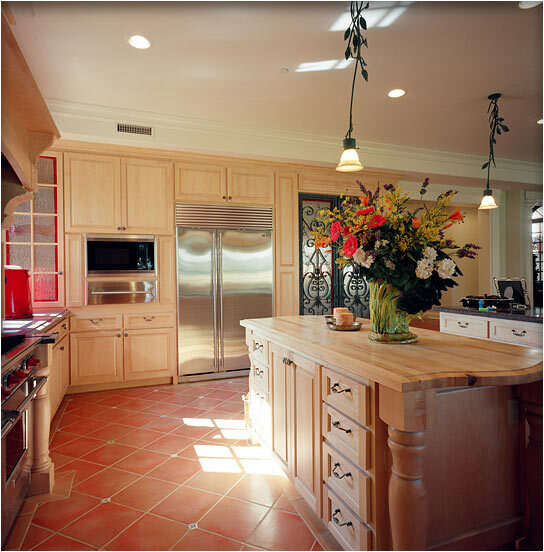 The cabinets are built of maple with a clear-coat finish, and the stove is professional quality. The floor is 12″ x 12″ tile laid diagonally with a border.